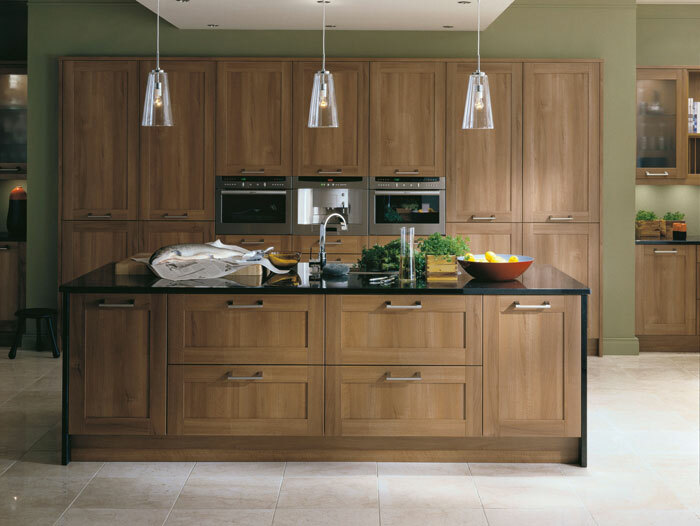 Scope's Shaker design has the flexibility to create a modern or traditional kitchen in ivory or warm walnut. The look changes significantly by selecting different flooring, wall colours, appliances and accessories. To break up the lines, add a teardrop shaped table for relaxed dining.